By Vanyaland·	 1/12/2016, 10:00 a.m. The brilliance of David Bowie came in many forms: His music, his fashion, his theater, his words. 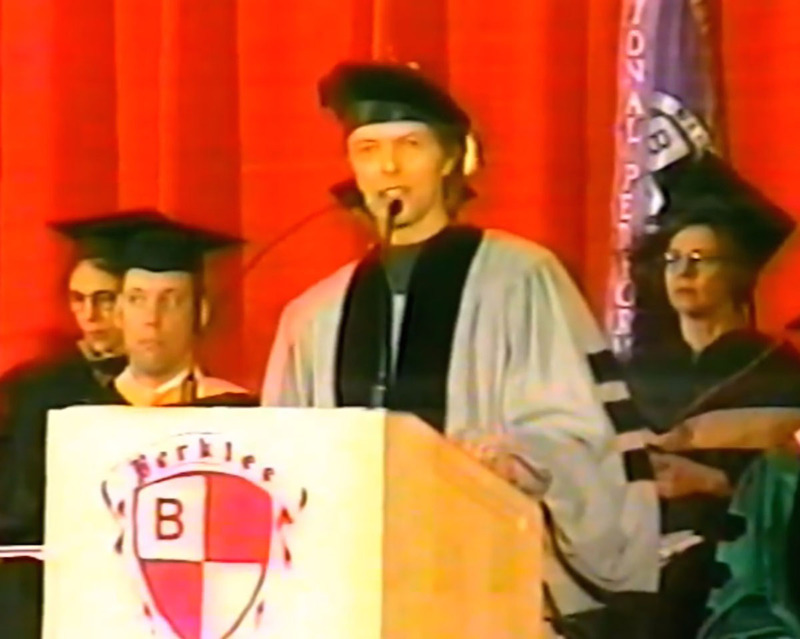 Nearly 17 years ago, Bowie gave a commencement address at Boston’s Berklee College of Music, opening with references to Little Stevie’s Pizza and Dunkin’ Donuts and closing with an anecdote from a personal exchange with John Lennon. In between, he shared his wit and wisdom with 580 graduates and nearly 4,000 spectators at the Hynes Convention Center, and with permission from Berklee we have re-printed his entire lecture below. Bowie, along with jazz innovator Wayne Shorter, accepted honorary doctorates that day and became doctors of music. He began his speech by praising Berklee students for their previous nights’ tribute to him and Shorter. Watch the archival footage, then read the full text of Bowie’s address below. Thank you. Thanks very much. Rockers…jazzers…samplers. That was a fantastic concert last night. I think both Wayne and myself were just so moved to hear our compositions coming back at us through your ears and abilities. It was dynamite. You don’t know how much we appreciate it. I chatted with some of the students last night and I asked one of them if he could give me a good joke to start today off with and also his worst fear. Oh, I should remind you that anybody left over from the proceedings today can join my wife and I at [local pizza place] Little Stevie’s for a slice. 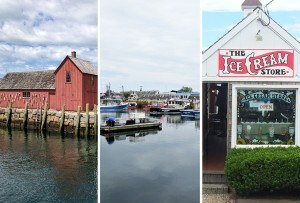 Dunkin’ Donuts, then, alright? Well, that should wipe out about $30 worth right there. As always on occasions like this, I really never know what to do—which is pretty much the way that I’ve handled my career as a musician/writer. I guess any list of advice I have to offer to a musician always ends with “If it itches, go and see a doctor.” Real world! But that’s not going to be of any help today. My sometimes-collaborator Brian Eno described himself as a non-musician. In fact he tried to get it put into his passport as his work definition. [faking British customs officer voice] “Non-musician? Made any records?” [impersonating Brian Eno] “Of course not. I’m a bloody non-musician.” Anyway I’d describe myself, I think, as a bit of a non-musician. I took classes, initially, after seeing the Little Richard band in a film with, at that time Britain’s foremost baritone jazz player Ronnie Ross. I was about 14 and I gave him a phone. I found his number in the phone book and he very kindly took me on. But I quickly found that what was written as “be doo boo doobie doop ba doo bip …” That’s a George Redman composition, West Coast band, ’60s you wouldn’t know about it. “Be doobiee doobie doop a doop bip,” when I started playing it, came out as “bdzzzz dzzzzz zzzz.” So it seemed that authenticity and the natural form of expression wasn’t going to be my forte. In fact, what I found that I was good at doing, and what I really enjoyed the most, was the game of “what if?” What if you combined Brecht-Weill musical drama with rhythm and blues? What happens if you transplant the French chanson with the Philly sound? Will Schoenberg lie comfortably with Little Richard? Can you put haggis and snails on the same plate? Well, no, but some of the ideas did work out very well. So, I learned enough saxophone and guitar and what’s euphemistically called “composer’s piano” to get my ideas over to proper musicians, as we have here today. And then I went on a crusade, I suppose, to change the kind of information that rock music contained. I adored Coltrane, Harry Parch, Eric Dolphy, Velvet Underground, John Cage, Sonny Stitt. Unfortunately, I also loved Anthony Newley, Florence Foster Jenkins, Johnnie Ray, Julie London, the legendary Stardust Cowboy, Edith Piaf, and Shirley Bassey. The seductive thing about John was his sense of humor. Surrealistically enough, we were first introduced in about 1974 by Elizabeth Taylor. Miss Taylor had been trying to get me to make a movie with her. It involved going to Russia and wearing something red, gold and diaphanous. Not terribly encouraging, really. I can’t remember what it was called—it wasn’t On the Waterfront, anyway, I know that. We were in L.A., and one night she had a party to which both John and I had been invited. I think we were polite with each other, in that kind of older-younger way. Although there were only a few years between us, in rock and roll that’s a generation, you know? Oh boy, is it ever. He once famously described glam rock as just rock and roll with lipstick on. He was wrong, of course, but it was very funny. Towards the end of the ,70s, a group of us went off to Hong Kong on a holiday and John was in, sort of, house-husband mode and wanted to show Sean the world. And during one of our expeditions on the back streets a kid comes running up to him and says, “Are you John Lennon?” And he said, “No, but I wish I had his money.” Which I promptly stole for myself. These are just a few moments from my life. This moment is very definitely yours. Thank you so much for indulging me for the last 10 minutes. I hope it’s been reasonably interesting for you. I only hope that it embraces you with the same lusty life force that it graciously offered me. Thank you very much, and remember, if it itches, play it.